Synthesized peptide derived from the C-terminal region of human PUMA. Small volumes of anti-PUMA antibody vial(s) may occasionally become entrapped in the seal of the product vial during shipment and storage. If necessary, briefly centrifuge the vial on a tabletop centrifuge to dislodge any liquid in the container`s cap. Certain products may require to ship with dry ice and additional dry ice fee may apply. 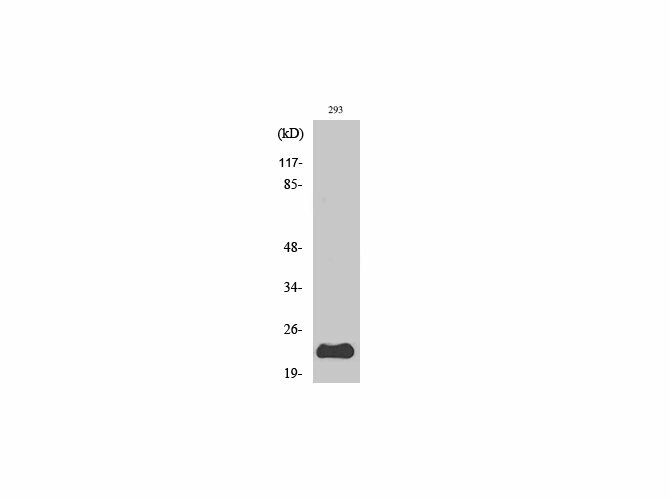 Western Blot analysis of various cells with PUMA Polyclonal Antibody. NCBI/Uniprot data below describe general gene information for PUMA. It may not necessarily be applicable to this product. PUMA: Essential mediator of p53/TP53-dependent and p53/TP53- independent apoptosis. Interacts with MCL1 and BCL2A1. Interacts with BCL2 and BCL2L1/BCL-XL. By DNA damage, glucocorticoid treatment, growth factor deprivation and p53/TP53. Ubiquitously expressed. Belongs to the Bcl-2 family. 4 isoforms of the human protein are produced by alternative splicing. 1. Reduction of p53 upregulated modulator of apoptosis (PUMA) expression mediates the endogenous cardioprotective mechanisms of postconditioning by disrupting mitochondrial apoptotic pathway.